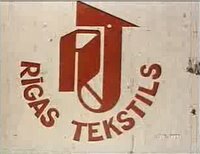 Whilst digging around I found this weird little 1978 commercial ad for Rigas Tekstils' women's clothing line. It's shot on a dark, rickety old streetcar in some rather dreary locations (reminds me of an old Italian or European horror film! ), and though quite tacky (as the uploader on YouTube said it was), still manages to have a certain cheap vibe that I can appreciate--for my own dark reasons. Besides, you just gotta love the cheesy downbeat muzak droning in the background, and those dated '70s flannel outfits! I have no idea what the narrator is saying and I don't care. I groove on low rent junk like this. For Soviet commercial, this one looks actually surprisingly good. 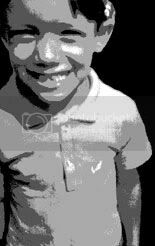 It is in colour and the clothing is relatively up to date for the period. Moreover, the fabrics look as if they won't cause you to break out in hives immediately upon contact with your skin, which is more than you could say for some products of the East German textile industry. The "dreary location" is actually Riga, capital of the republic of Latvia, which was part of the USSR between 1940 and 1991. Far from dreary in real life, Riga is actually a very beautiful city. The three-tiered spire you can see in the background in one shot is the St. Peter church. 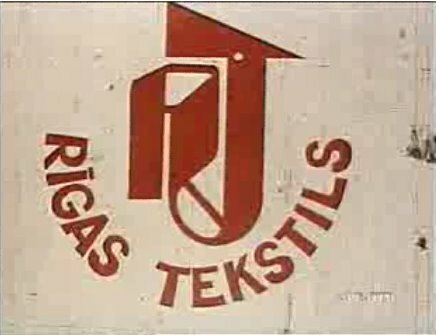 I visited Riga as part of a school exchange program in 1989 and the streets didn't look all that different from what can be seen here. I think they still used the same type of streetcars, too. It rather facinates me at times watching Eastern European ads like this. People in the west often never thought about how products were advertised in the Soviet bloc, but often it wasn't nearly as different as they might think (the only difference was that there wasn't any competition then, as most products were singularly made from a particular company without a competing brand to spar off on). Some more Hungarian ads to gander at! In closing, here's over a half-hour's worth of East German commercials too! What fascinates me about those commercials is how far they often were removed from the reality in those countries. Many of the "luxury" products pictures were barely available to the average consumer without connections. The waiting list for the cars seen in some of the East German commercials was 18 years! The fully stocked shop windows seen in the East German commercials didn't exist in reality either. I remember seeing the disclaimer "All plants are only for decoration" in the window of an East German florist's shop once, i.e. the shop had nothing to sell, the only goods they had were decoration. Disclaimer: I'm talking about the late 1980s here, whereas most of those commercials date from the 1960s, when things were somewhat better according to East German relatives. Interesting to read that. Too often I've read a lot of mixed reviews of those that have lived over there, and often it seems to vary from country to country. I supposibly have a distant relative who lives in Poland who constantly e-mails me daily with all this info I don't need to know, and often makes very non-PC comments on things like how he never sees a single black person to his negative insight on the Jews being in political power in his country. I just get so pissed to read that constnatly (he also doesn't know much English and has to use some kind of translator for his messages that takes me some time to cypher). The situation indeed varied from country to country and sometimes region to region. Hungary was usually considered to be the richest of the Eastern Bloc countries, Albania was (and still is) the poorest. As for Poland, they're is currently going through a weird political phase complete with unpleasant symptoms such as nationalism, xenophobia and anti-semitism. The rest of Europe is hoping they will come to their senses soon.